Choose any course and receive a second course of equal of lesser value for free! Offer good through November 30, 2016. When you submit payment for your course, include your free choice in the notes on paypal OR send an email to staff@faldp.org with "My Free BOGO course" in the subject line and we'll send you the course link. *This offer does NOT apply to course bundles - only to stand alone courses as displayed on this page. Our Seventh Annual Conference was memorable. Despite some challenges, we had a great time. I personally enjoyed the lively interaction among the attendees during the Q & A sessions. All started fine, we set up for the conference the evening before, laid out the folders and left all of our materials in the conference room. The resort staff was kind enough to set up the coffee and a water dispenser for us. I didn't realize until the next morning that the set up staff had thought our meeting began Friday night and made coffee. The housekeeper reprimanded me for failing to turn off the coffee when we left. We hadn't been there, except to set up, but this is how my day began. My first speaker, Chardo Richardson, was late. He had sent me a text to tell me, so I worked around that and rearranged my presentation to accommodate. He had planned a power point presentation, which he had also uploaded to the cloud. But, when he tried to get it going, found that his Mac wasn't compatible with the projector AND that the wi-fi signal wasn't strong enough to sustain his presentation. So he abandoned the visual presentation, and spoke. Chardo was a most engaging and enjoyable speaker, and I was very pleased with his presentation. He broke down the Supreme Court case FTC v NC Board of Dental Examiners and discussed constitutional issues that affect pro se litigants - primarily legal access issues. Chardo told us that he admires what we do, and referred to as "warriors". I guess my Sun Tzu quote was a good one. Afterwards, Chardo commented to me that he really enjoyed the intimacy of our venue. Before Chardo began his presentation, I looked for the bags of chips, which I had left under the podium. I wanted to get them out of his way so we could set up for lunch. The chips were gone. I reported it to the housekeeper who was helping us. And, yes, the chips were stolen, apparently by someone who walked in from the street the night before. The resort management bought us more chips, and so, all's well that ends well. Our second speaker, Sheila Smith, broke down somewhere on A1A and texted that she'd be late. I have not heard from Sheila since she asked if she could present in the afternoon instead of the morning. She never came at all, and I have so far been unable to contact her by phone, text, or email. I don't think she was traveling alone, and I hope she's ok.
During my presentations, we had multiple discussions about UPL. I told the history of some of the more notorious and memorable UPL cases - Nancy Grant, Rosemary Furman, and Serena Dunn. I have all of these cases if anyone is interested in reading the full case. There is also a lot of information on the FALDP site about these cases. I also invited members to share their own experiences with UPL accusations. I passed out the recent case in Broward County about the nonlawyers pretending to be attorneys and pretending to help consumers fight foreclosure. These are the bad actors that should be investigated and prosecuted - NOT US. 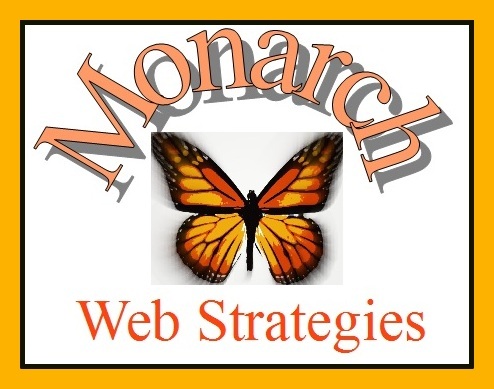 I had planned my presentations to be separate and a specific topic for each of my slots. As the day went, that was impossible, but I covered all or most of the points I had planned. However, I was not pleased with our 2:00 speaker, Howard Alterman. At a previous conference a speaker was supposed to talk about living trusts, but somehow decided he'd spend his time talking about marketing. I was upset at that, but not nearly as I was at Howard's presentation. He did not know his audience, and apparently had failed to do any research. He did not know my name, he referred to me as Rita, even though I have been in contact with him for months. His resounding message was that if anything bad happens, like a UPL investigation, the only thing to do is lawyer up. And then even after we spend the money to retain counsel do what we're told because the Florida Bar has a lot more money than any one of us, so they'll get their way no matter what. This is not what I had requested or expected. I was so surprised at his words, and I guess I hoped he would pull it out and say something helpful that I didn't react as quickly as I should have. I finally said - we're out of time - thanked him and escorted him away from the podium. Whew! I spent the next segment undoing what he did. He was wrong or misinformed on some very specific points. I'll be happy to discuss with anyone individually if you still have questions. It's always fun to wrap up with awards and prizes. Among the prize winners were - Julian Beyer, for Member of the Year - to thank him for his hard work behind the scenes, building power points, and maintaining the google map, as well as marketing for FALDP. Road Warrior went to Jeanpaul Powell as had he just driven down from Brooklyn the day before to attend. Business Card drawing went to Paul Perry. Newest member went to Dawn Hill. And then we played my favorite game, FALDP Trivia. I tried to make sure everyone walked away with something. Among this year's prizes were a tote bag, mouse pads, jump drives, a book of essays, "Legal Sunshine - 15 Essays", and "Florida Family Adoptions" a how to book for family adoptions. Hurricane Matthew hit parts of Florida hard. Apparently Volusia and Flagler Counties got the brunt of the storm, many Florida residents evacuated as Governor Scott advised. Luckily we did not actually get a Category 3 or 4, but only a Category 2. Still the cost to individuals missing work and property damage is immense. We are encouraging FALDP members to offer a any type of hurricane discount to consumers seeking document preparation. If you are able to offer a hurricane discount, we will try to give you preference when referring consumer requests. Please let us know if you able to offer a Hurricane Matthew Discount to consumers by emailing staff@faldp.org or call 800-515-0496. FALDP is offering a BOGO - Buy One Get One - online course special through November 30, 2016 (the end of hurricane season). This is for stand alone courses only and does NOT apply to course bundles. Buy one course and receive a course of lesser or equal value for free. After purchasing your course, either include the name of your chosen free course in the notes on your paypal payment, or emails us your free course selection at staff@faldp.org with "My Free BOGO Course" in the subject line. Our courses are available to FALDP members and the general public. For more information visit: https://www.faldp.org/Online-Courses.html , or call or email us. 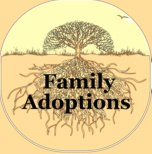 An updated version of our FALDP Guide, "Family Adoptions in Florida" has been released. It is available as an ebook, and will soon be available on www.lulu.com in a printed edition. Our FALDP Self-Help Guide, includes information about procedure, laws, and forms for adoptions in Florida by Grandparents, Stepparent, and other close relatives. This is an updated version as of August 2016. It is a full 102 pages, with expanded forms section, adoption scenarios, adoption checklist, and more. 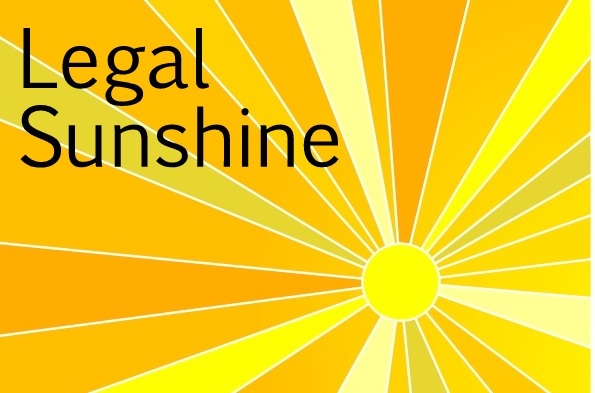 Legal Sunshine - 15 Essays is a collection of articles and essays which were originally published on the Legal Sunshine blog. All of the essays address document preparer's issues including UPL, court access, and credibility in the marketplace. This book will be available on our site soon. And is currently available on hulu.com and other online book sellers. All essays and articles are original and written by Ruth Tick. My ex husband, Brian, Julian Beyer's father, passed away on October 3rd -- after the conference and before the hurricane. Brian lived in a mother-in-law's apartment adjacent to Julian's house, and Julian had looked after him for the past two years. Although Brian and I had been divorced since 1991 we had a cordial relationship and were friends. Any divorce animosity dissipated years ago. Julian is distraught. Please do not send him condolences, as he says it makes him sad. The hardest thing I have ever had to do in recent history was tell Julian that apparently Brian's family will not help in any way with Brian's final arrangements. Brian left behind three brothers and a sister, all able but unwilling to lend Julian any financial assistance, instead they are leaving the costs completely up to Julian. Brian was a Vietnam Era vet who survived from his VA benefits and SSDI since he became unable to work. If you can donate any amount to offset Julian's expenses, we will be grateful. Of course, I will help. I could not let Julian carry the burden alone. Debra Fairchild-Turner, a long time FALDP member, is in the hospital in St. Petersburg. Thankfully she recently learned that she will not have to undergo surgery, but instead will have to go through a period of rehab. She is unable to work, and became a widow this time last year. If you can contribute any amount to assist her, I'm sure she would be grateful. If you would like to donate for Debra or Brian - we thank you. Please indicate who you are donating to in the notes on paypal, or send an email to staff@faldp.org. If you do not designate a recipient, we will split the donation between the two.